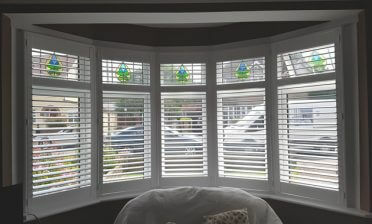 Ben was in the local area of Beckenham in Kent to fit these great looking shutters for a new customer. The homeowner was looking to add more privacy to their bathroom while also adding style and practicality. By using a tier on tier style of shutters for this bathroom the customer can open or adjust the top section while leaving the bottom half fully closed. This allows you to take a bath in privacy while still allowing maximum light in through the top half. 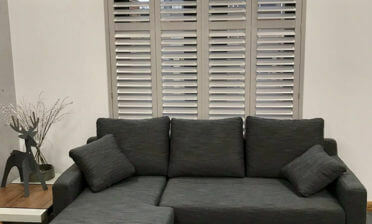 The great thing about our bespoke shutters is that we can tailor them to your exact needs depending on the mix of light and privacy you require, as well as the overall look you are trying to achieve. With these tier on tier shutters you get the best of both worlds. The 64mm shutter louvres can easily be adjusted by touch with a hidden tilt rod system used to move the other louvres in unison. 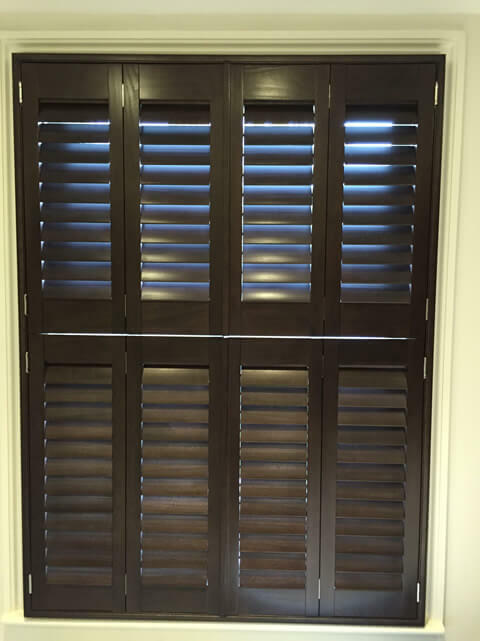 These shutters are created from our Fiji Range which is a beautiful hardwood renowned for its natural water resistance, which makes them perfect for areas such as a bathroom. With no visible tilt rod the louvres can be touched with a wet hand without worry. 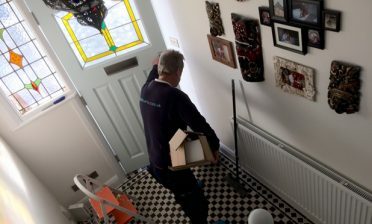 This range is also available in many paints and stains including customer colour matching. 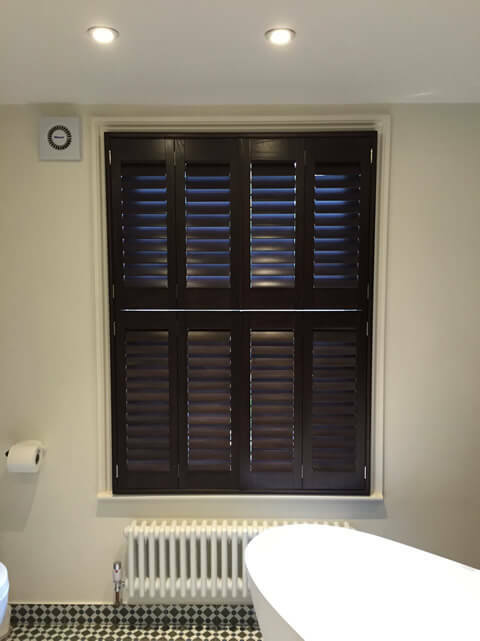 On this occasion the client opted for a Wenge wood stain finish which really helps to make the shutters stand out in this lightly coloured room. We used nickel plated hinges to attach the shutters to the 4 sided insert L frames which further enhance the look the customer was trying to achieve.